Gypsologié are a hot new Euro-flavoured jazz duo that specialise in Gypsy Jazz; the passionate, exciting swing music of 1940's France. 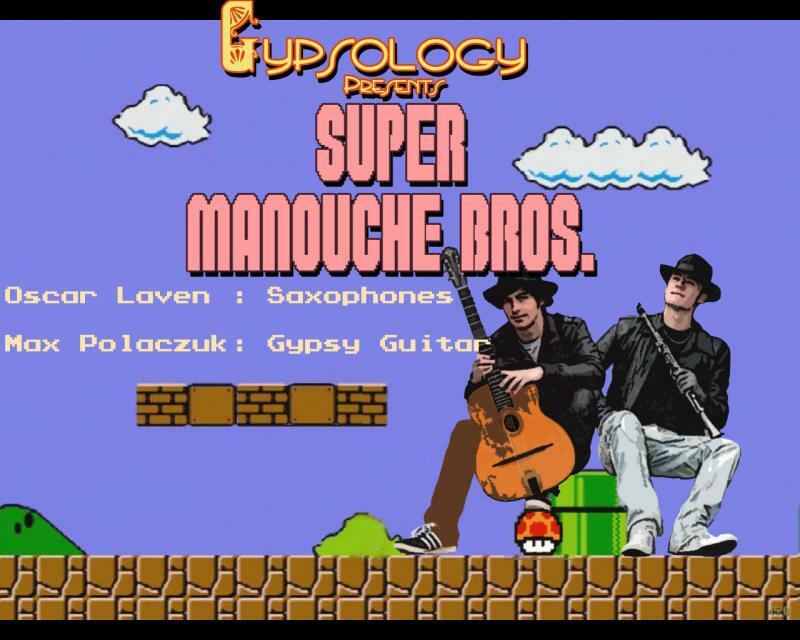 Blazing gypsy guitar and sizzlin' saxophone combine to spice up your evening with tantalising European flair. Heavily derived from the music of famous French gypsy jazz guitarist Django Reinhardt, Gypsologié puts a hot new spin on the irresistible tunes of the 1940's Paris Hot Club scene, along with original swingin' compositions by both Oscar Lavën and Max Polaczuk. Gypsologié regularly play around the Wellington area at places such as Le Metropolitan Cafe, Mojo and many others, and put on regular street performances in Cuba mall every Saturday. 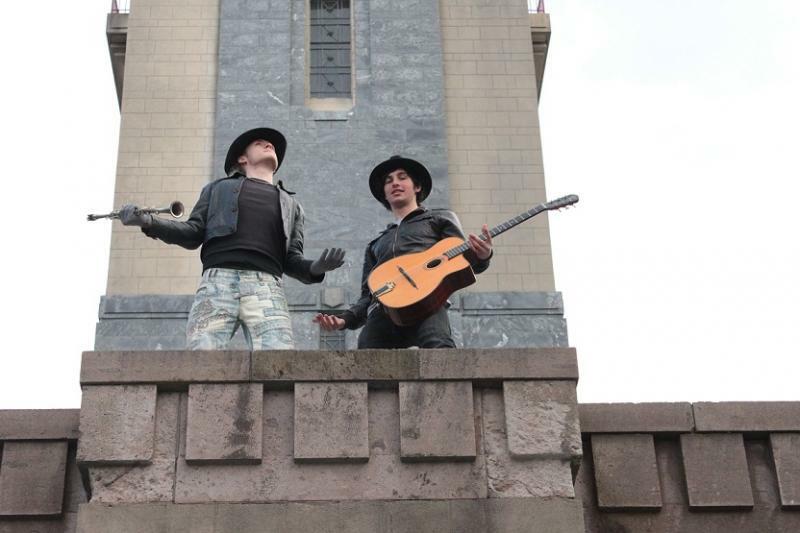 They are also a well received and much enjoyed wedding act (at both cermony and reception, if that's your style! ), and can play just about anywhere (gardens, parks, outdoors, small alcoves, etc. )with no problem due to their ability to perform without relying on electric amplification. 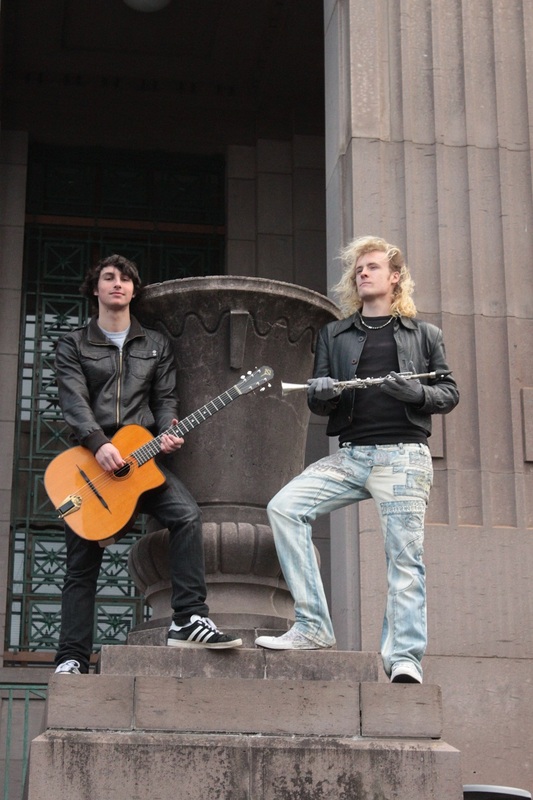 Max Polaczuk has performed around New Zealand, and is equally at home in both jazz and rock genres, being lead guitarist in popular Lower Hutt band Kreafly. Gypsologié are will add spice and class to any party or function, have an extensive wardrobe and will dress up fantastically to suit any occasion. Take your party to Paris with Gypsologié! Gypsology played at our wedding in Martinborough on Dec 17th and did a magnificent job. We had background guitar at the church, then both played at cocktail hour and during dinner and they were a fantastic addition to the day. Flexible, professional and reliable - I'd highly reccomend them for your special event.